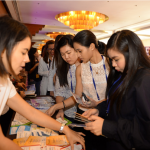 Day One of the 12th CIM Medical World Congress a Resounding Success! December 4, 2017. 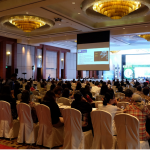 The Cebu Institute of Medicine held the first day of the two-day 12th CIM Medical World Congress. 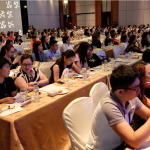 More than 700 doctors and allied healthcare practitioners, coming from various hospitals, medical clinics, government health agencies, rural health units, and medical schools came together at Radisson Blu Hotel to participate in the 12th CIM Medical World Congress. 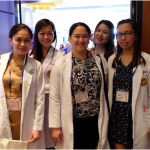 Much like the previous congresses held years earlier, the organizers invited faculty and medical specialists who are esteemed in the local, national and international medical arenas. 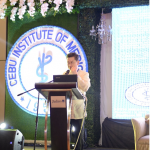 Although the CIM Medical World Congress is held every year since 2005, this is an especially momentous event since this year also marks the 60th Founding Anniversary of the Cebu Institute of Medicine. 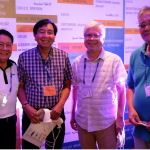 The Alumni Batch 1992 who call themselves “Snurps,” is this year’s Silver Jubilarians and is also the Congress Organizing Committee. 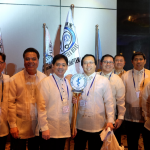 Led by their batch President, Dr. Juanito N. Zuasula, Jr., who is this year’s world Congress Over-all Chairman, the Silver Jubilarians were keenly supported by the CIM Alumni Association, Inc, headed by its ever dynamic President, Dr. Pek Eng Lim. 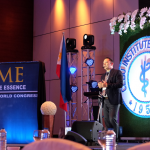 The theme for this year’s World Congress is “Time Is Of The Essence” and for doctors, time is always of the essence. All topics in the World Congress relates with the impact of time on medical management. 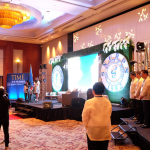 A processional of the following personalities signaled the start of the ceremonies: Dr. Corazon Meneses, College Secretary who ushered in the School Seal held aloft by Silver Jubilarian Dr. Juanito Tiu; then followed by Dr. Juanito N. Zuasula, Jr., Dr. Pek Eng Lim, Dr. Thelma La Rosa Fernandez, the CIM Dean, and Dr. Carmen M. Velez, President of the CIM Board of Trustees. 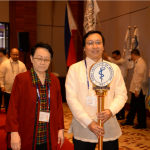 After the Invocation and the Philippine National Anthem, Dr. Pek Eng Lim received the delegates to the Congress with his warm Welcome Address. This was followed by an Opening Message from the Dean, Dr. Thelma La Rosa Fernandez. Dr. Zuasula then rang the gong which formally opened the 12th World Congress. 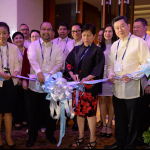 This was immediately followed with a Ribbon cutting ceremony for the exhibits displayed at the Congress foyer by Dr. Carmen Velez, with assistance from the Dean and the Congress Overall Chair and the Alumni President. To set the tone, the first Plenary Lecture of the day was delivered by Dr. Zuasula on the topic, “Life Course”. 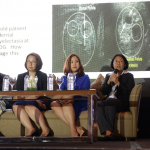 His lecture was then followed by a lively panel discussion on “Fetal Genetic Screening and Counselling,” with pediatric geneticist Dr. Barbra Charina V. Cavan, and four obstetricians namely Dr. Kristine L. Dosdos, Dr. Ma. Susan A. Villaluz, Dr. Adele Marie Muntuerto-Capito and Silver Jubilarian Dr. Humildad Asumpta Melgar-Igana. 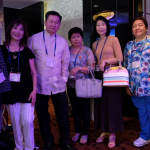 Following the panel discussion, the delegates were treated to a fascinating talk on “Neurodevelopmental Disorders,” given by another Silver Jubilarian and developmental pediatrician, Dr. Myra V. Altonaga,. 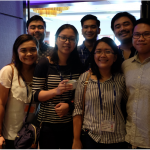 This was followed by an enthralling discourse on “The Legacy Effect in Blood Sugar Control,” by one of Cebu’s foremost endocrinologist, Dr. Jeremy F. Robles. By lunchtime all participants were treated to cerebral as well as gustatory feasts as they were invited to three separate lunch symposiums, namely, “3 in 1: Carnitine Orotate for Liver, Heart and Diabetes,” with Dr. Pek Eng Lim and Dr. Jeremy Robles, “Deconstructing Chest Pain: A Gastroenterologist’s Perspective,” with Dr. Frederick Dy, and “Hepatitis B: Translating Guidelines into Everyday Practice,” with Dr. Judy Lao-Tan and Dr. Ira Yu. The first lecture in the afternoon was given by Dr. Andrew S. Binamira, also a Silver Jubilarian, on “Alzheimer’s Dementia” who mesmerized the participants throughout his talk. The participants were then enthralled by a discourse on “COPD in the 6th Decade and Still Smoking,” by Dr. John Clifford E. Aranas. This discourse was followed by equally absorbing talks on “End Stage Renal Failure,” by Dr. Robert Joseph S. Go and “Advanced Genetic Testing for Cancer Patients,” by Dr. Omid U. Etemadi. One interesting part of the Congress was a game show which required answers to questions displayed in the hallway of the congress site from all the congress participants. 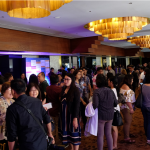 Each of the five lucky winners who gave correct answers to all four questions received a traveler’s luggage, which were a few of the many gifts and surprises to be given away during the entire congress duration.